From Mandarins.org: Mandarins completed their April camp, putting another minute of the opener on the field. The percussion line finished the drum feature which is based on the music of Steve Reich. 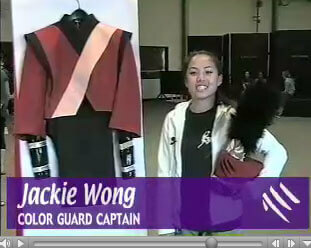 The guard returned this camp, after many members and staff completed very successful winter guard seasons. Corps members also had an opportunity to see the Mandarins' new uniform design. See the video on www.mandarins.org.